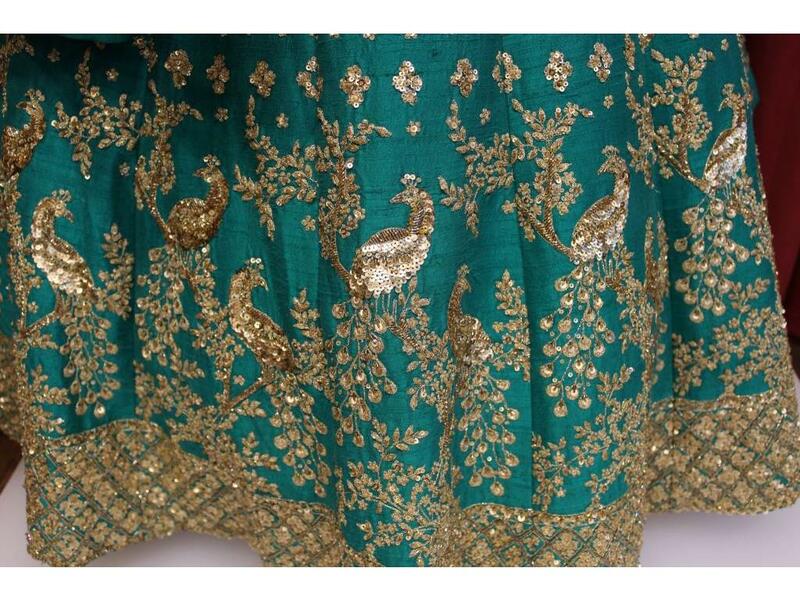 Full sequence green blouse with beads and peacocks on shoulders. 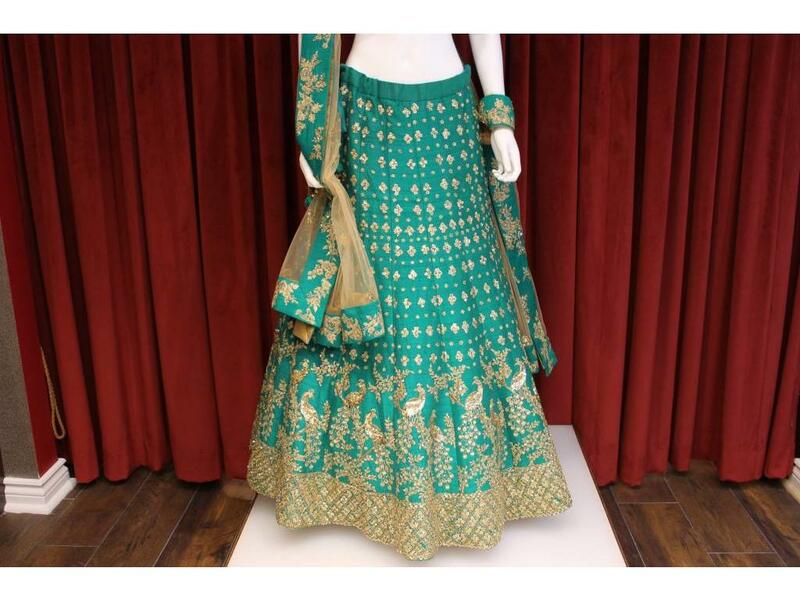 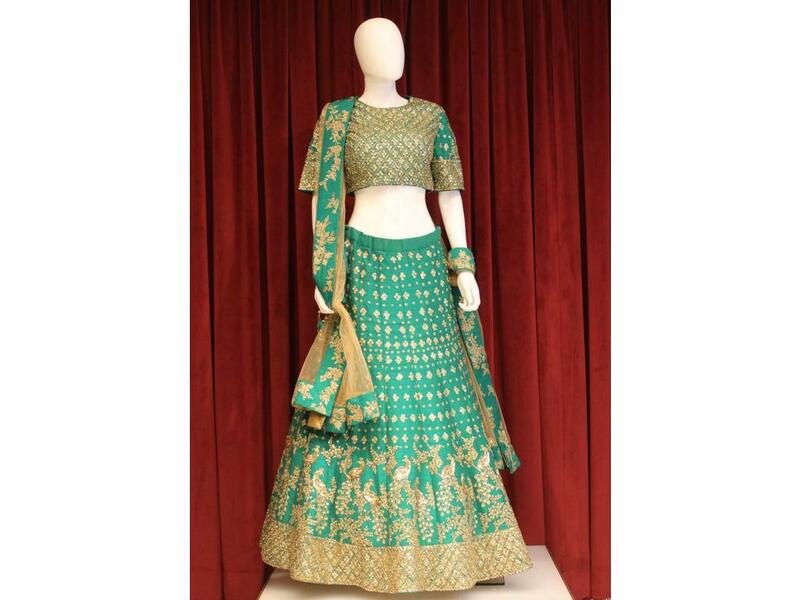 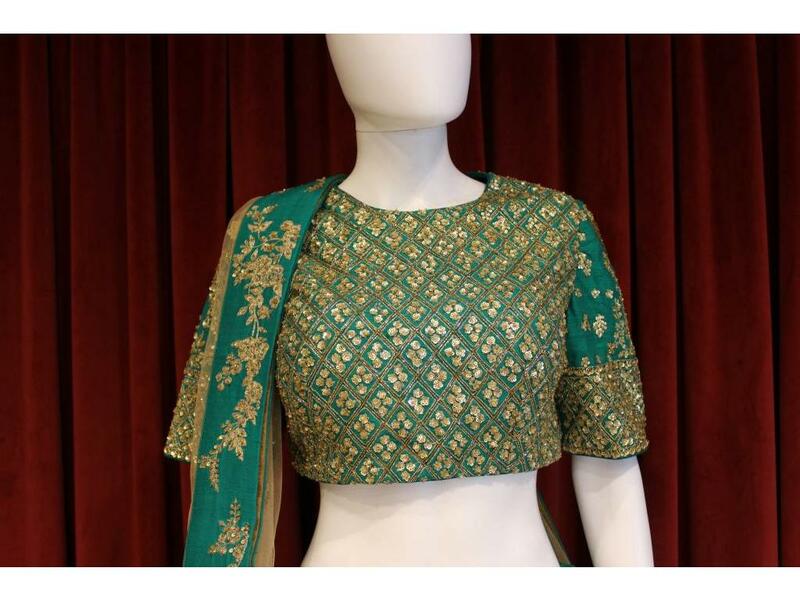 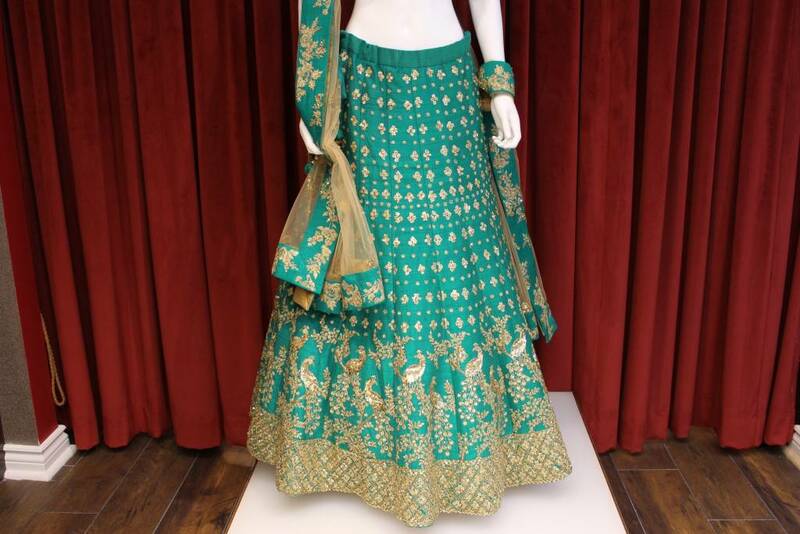 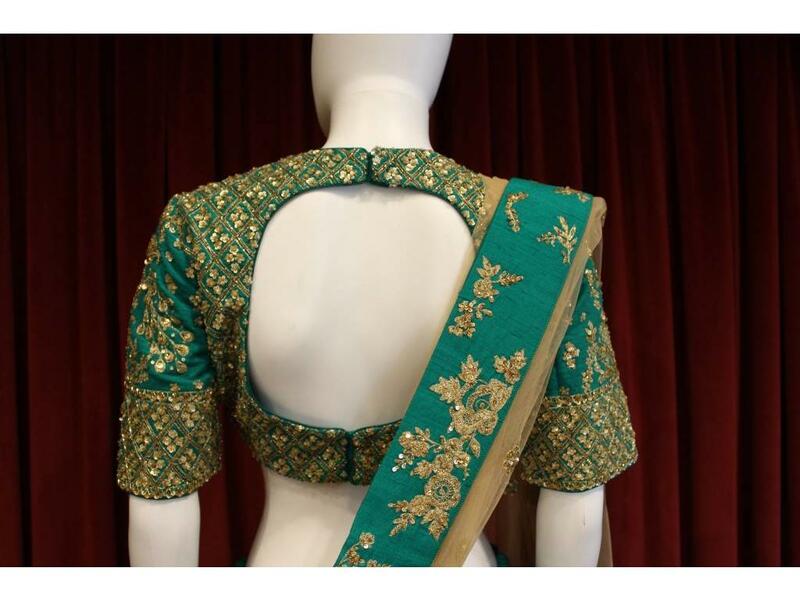 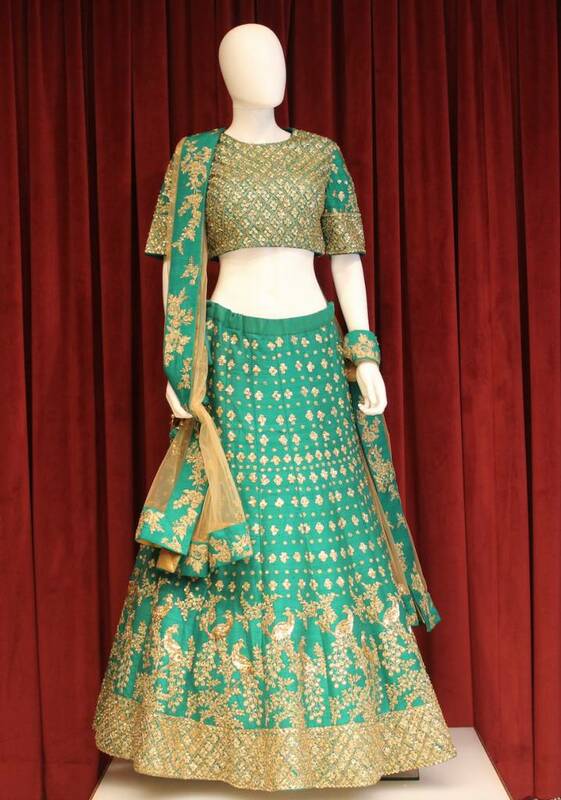 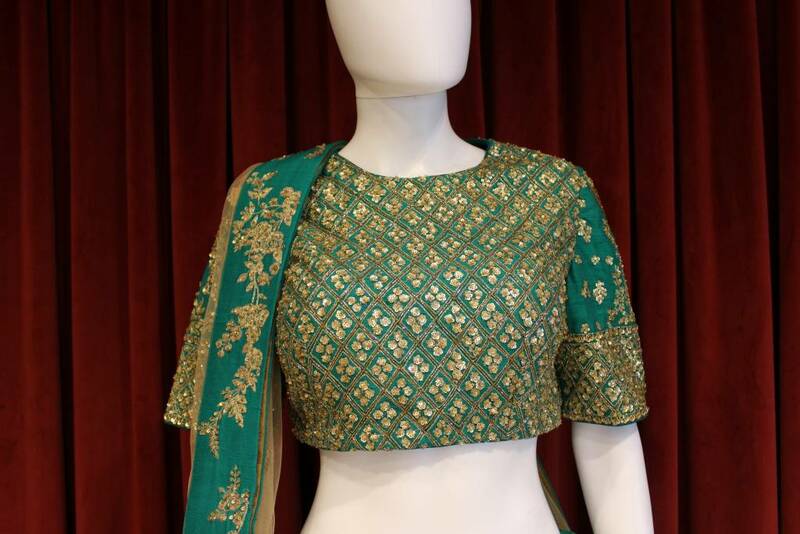 Sequence lehenga with gold threadwork. 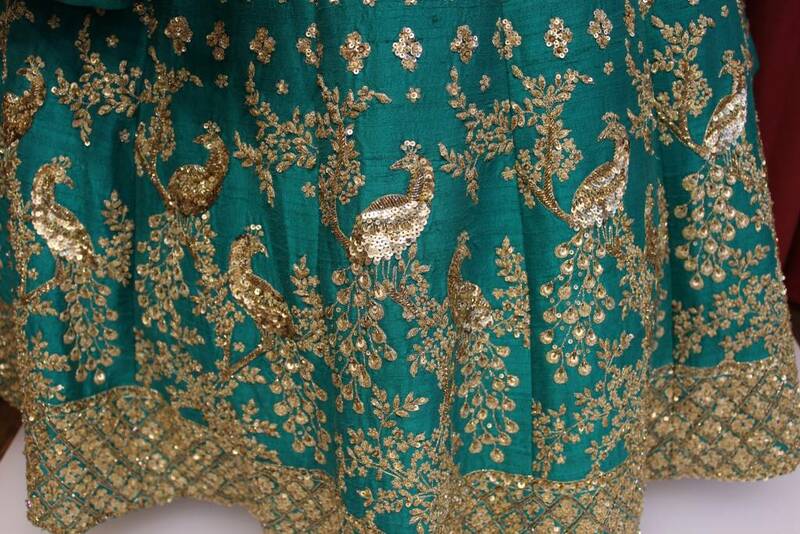 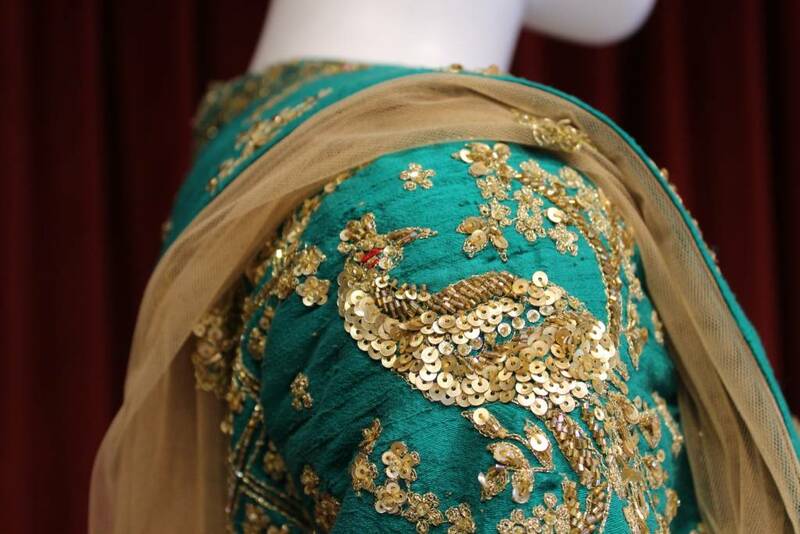 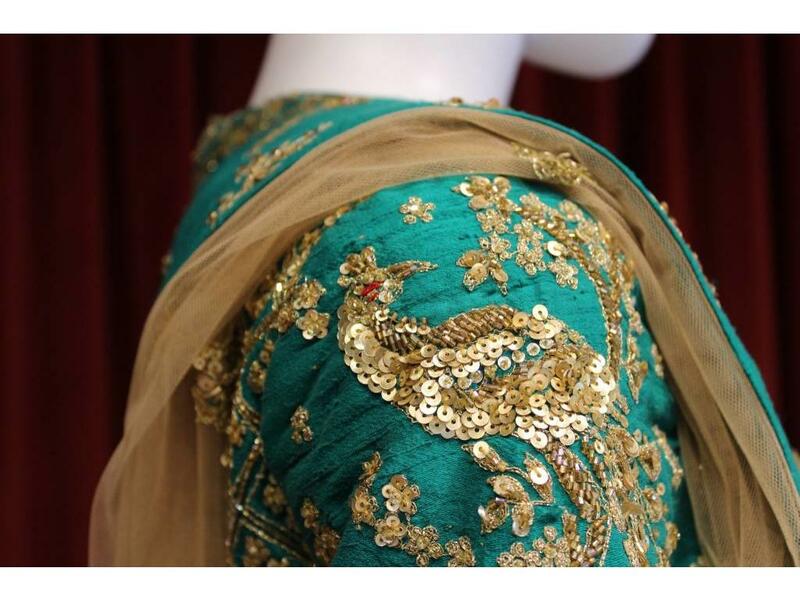 Lehenga's beauty is enhanced with peacock design on the border. 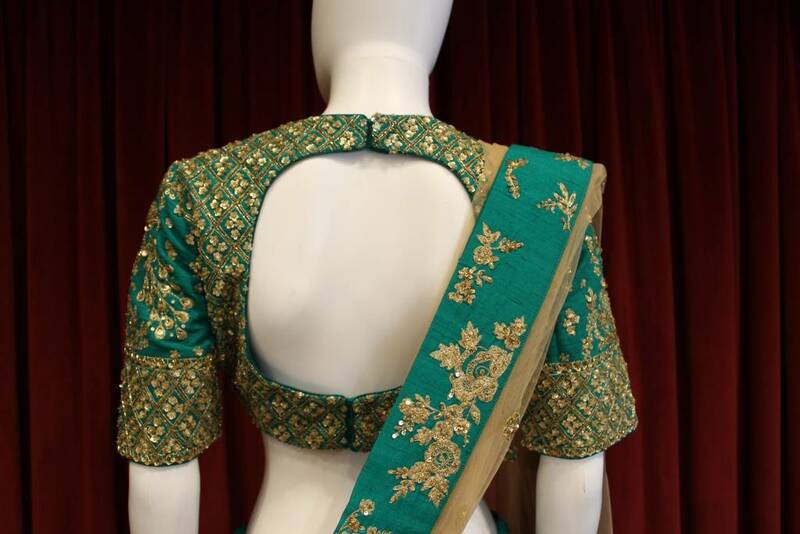 Cream dupatta with the green border.